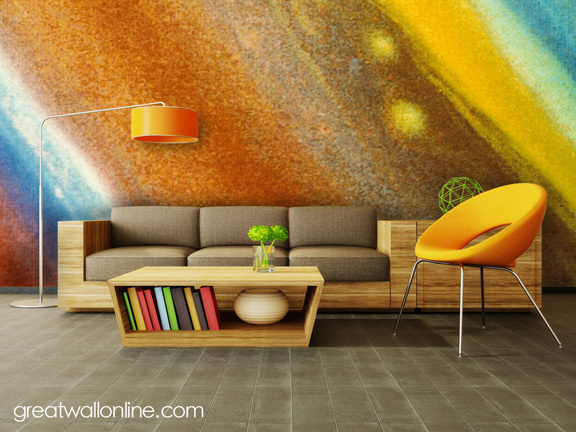 Today we're featuring one of space themed wall murals, our Saturn Surface Detail Wall Mural. The mural is a satellite shot of Saturn's surface. The multitude of colors that striate the surface of the planet offers a vast range of decorating possibilities. Our inspiration room pulls the yellow from the mural with it's chair in the foreground, while the neutral sofa balances the overall wall mural's color scheme. Check out more of our space murals, they will make your wall out of this world!